When the real you is someone you don’t know, then you sing the songs of the maniacs. Who are we when we lose everything, including our personalities? From her office at a mental health institute in the tropics, a troubled young woman counsels deeply disturbed clients while coping with her own heightening concerns. These include frightening consciousness lapses, violent memories of a high school sexual relationship, a menacing stalker, and an annoyingly arousing visitor who may or may not be insane. All this on a single stormy day at a time when a new mental health disorder has become epidemic and is threatening to distort memory and identity, unmooring the validity of reality itself. Mickey J. Corrigan lives and writes and gets into trouble in South Florida. She publishes with pulpy presses with names like Breathless, Champagne and Bottom Drawer. Recent books include the edgy novellas in The Hard Stuff series from The Wild Rose Press (Whiskey Sour Noir, Vodka Warrior, Tequila Dirty); and the thriller Sugar Babies. 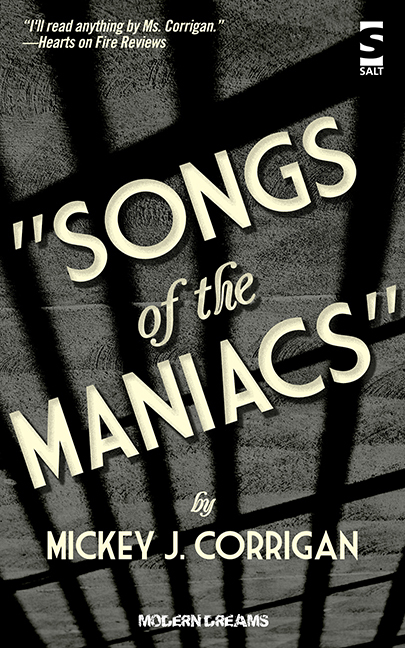 Salt Publishing recently released the neo-noir novel Songs of the Maniacs. 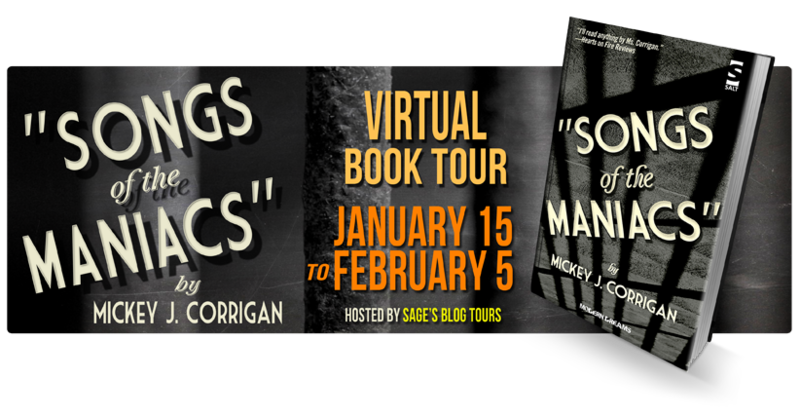 This entry was posted in Author Spotlight, Crime, Dark Read, New Adult, Psychological, Romantic Suspense, Thriller and tagged blog tour, Mickey J. Corrigan, New Adult, psychological thriller, romantic-suspense, Songs of the Maniacs, spotlight, urban crime.